Memorial Day: It's the unofficial kickoff to summer, and the official kickoff to the boating season in Pennsylvania. Since many will head out to enjoy our various lakes and rivers this weekend (and because it is National Safe Boating Week), we at Edgar Snyder & Associates wanted to give you some tips on how to keep your family safe on the water. According to the Pennsylvania Fish and Boat Commission, there were 70 boating accidents in 2014—incidents that resulted in 17 fatalities. 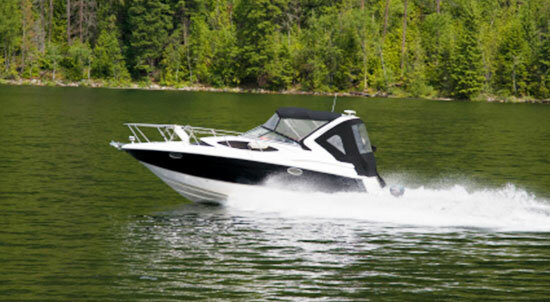 The National Safe Boat Council said the number of boating accidents exceeded 4,000 nationally, and resulted in more than 2,600 injuries and 610 deaths. Of those fatalities, 12 were children. The importance of wearing a life jacket cannot be overstated. Consider this: According to the National Safe Boat Council, 84 percent of people who drowned as a result of a boating accident were not wearing a life jacket. Always have children wear a U.S. Coast Guard-approved life jacket. Children are more prone to hypothermia, so be sure to bring extra warm, dry clothes and an extra blanket in case you notice shivering or blue-tinged lips. For children who aren't as comfortable or confident swimming, water wings and play noodles are accessories that might help them have a better time at the lake or ocean. It's imperative to note, though, that flotation devices are meant to be helpful tools and are not designed to be life-saving devices. Before going boating, teach your children that there is a significant difference between swimming in a pool and swimming in the open water. Make sure they understand and know how to handle waves, undertows, riptides and debris. Don't dive from a boat. Ever. Not only is it difficult to gauge how deep the water is, but it is sometimes impossible to tell what’s underneath the surface. It could be muck or worse—jagged rocks. Make sure they know that dangerous behaviors such as running or horseplay on the boat won't be tolerated. By definition, drowning is dying through submersion in—and inhalation of—water and it doesn't always look the way it does in the movies. In fact, there are two types of drowning that can happen after your children have already exited the water. Dry drowning can happen hours after your child gets out of the water. Here's what happens: your child breathes in water while swimming, playing or even struggling in the water. The water, while it never reaches the lungs, then causes the child's vocal chords to spasm and seize up, making it nearly impossible to breathe. Like dry drowning, secondary drowning can also happen long after a child leaves the water. Secondary drowning happens when a child inhales water, causing excess fluid in the lungs. This condition, called pulmonary edema, makes it difficult and sometimes impossible to breath. Medical experts advise parents to keep a close eye on their children for 24 hours after they’ve been swimming—and particularly if they at any point struggled in the water. If you observe any of the above symptoms, it's recommended that you seek medical help immediately before the condition worsens. You can expect a chest x-ray and IV medication if you visit the emergency room. Have a happy Memorial Day weekend and boating season—stay safe!